Franklyn has been a major influence in the worldwide development of a biodynamic approach to craniosacral therapy. He has been teaching in this field for over 30 years, and has influenced many current teachers and trainings throughout the world. He has presented at many Conferences over the last twenty years and his books, Foundations in Craniosacral Biodynamics Volumes 1 and 2, are seminal texts in the field. Having originally studied medical sciences, Franklyn has a long history of study and clinical practice in psychotherapy as well as in craniosacral therapy. His original psychotherapeutic orientation was in humanistic psychology, working with neo-Reichian and pre-natal and birth psychotherapy. He has studied and collaborated with Dr. William Emerson, one of the prime developers of pre- and perinatal psychology. 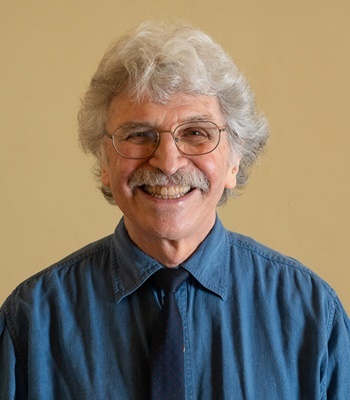 Franklyn also lectures in the Core Process Psychotherapy Training, a mindfulness-based psychotherapy program developed at the Karuna Institute, which he co-founded. He offers his expertise through presentations on Buddhist psychology, pre-natal and birth psychology, personality formation, mindfulness practice and trauma skills. He also teaches the neurobiology of mindfulness, stress and trauma, and he has brought this into the Institute’s Trainings. Franklyn has helped to develop the integrated paradigm of being and selfhood used in the Core Process training. Franklyn was a Buddhist monk under the most venerable Taungpulu Kaba Aye Sayadaw of Northern Burma, and also studied in the Zen and Taoist traditions. His experience in the cranial field has convinced him that the body must be included in any form of therapy. His published books include The Polarity Process, Foundations in Craniosacral Biodynamics vol. one and two, and Being and Becoming, Psychodynamics, Buddhism and the Origins of Selfhood. Cherionna Menzam-Sills is a prenatal and birth therapist, movement therapist and Biodynamic Craniosacral Therapist. Drawing on 40 years experience, her background includes an M.A. in Somatic Psychology (Dance/Movement Therapy) and a Ph.D. in Pre- and Perinatal Psychology, as well as Occupational Therapy, Massage Therapy, intensive study of BMC and Body-Mind Psychotherapy with Susan Aposhyan and 10 years intensive study with prenatal and birth psychotherapy pioneers, William Emerson and Ray Castellino. She worked intensively with founder of Continuum, Emilie Conrad for the last decade of her life. Emilie authorized her to teach Continuum in 2007. Her work is further informed by years of intensive Vipassana meditation practice and other mindfulness practices. 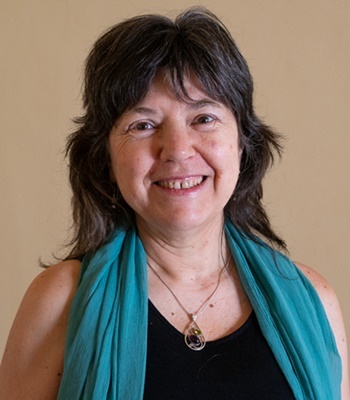 Cherionna has taught graduate students in both Somatic Psychology and Prenatal and Birth Psychology at Naropa University and the Santa Barbara Graduate Institute. She has also taught Embryology through movement for 20 years. She has taught Continuum and Biodynamic Craniosacral Therapy across North America and Europe, often with her husband, Franklyn Sills. Cherionna has published chapters on early development in volumes one and two of Foundations in Craniosacral Biodynamics, has authored The Breath of Life: An Introduction to Craniosacral Biodynamics (North Atlantic Books, April 2018), and is currently working on another soon-to-be published book, Fluid and Cosmos: Embodying Our Full Embryological Potential. Originally from Canada, Cherionna lives in Devon, UK, with Franklyn. As well as being Senior Tutor at Karuna Institute she has a private practice currently focused on supervision and mentoring, often online. Cherionna is committed in her work & life to embodied presence.